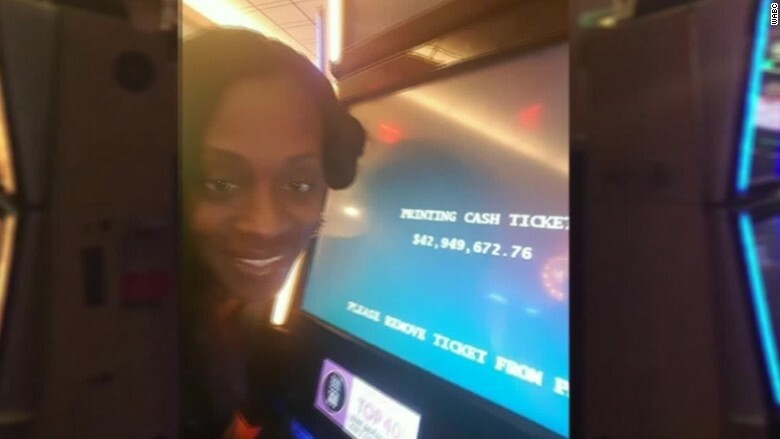 A slot machine told her she hit a massive jackpot, but the casino claimed it was a machine error and offered her a meal on the house. Now, she's taking this to court. Katrina Bookman captured national attention last year when she played a "Sphinx Slot Machine" at Resorts World Casino in Queens, New York, and it appeared as though she'd won $43 million -- which would have been the largest jackpot ever won on the slots in U.S. history. She excitedly snapped a selfie with the screen, believing her life was forever changed. But when Bookman came to collect her prize, a casino worker told her she hadn't actually won anything and offered her nothing but a complimentary steak dinner and $2.25. Bookman's lawyer said she did not accept either the dinner or the $2.25. At the time, Resorts World spokesman Dan Bank apologized and told CNN that "casino personnel were able to determine that the figure displayed on the penny slot was the result of an obvious malfunction -- a fact later confirmed by the New York State Gaming Commission." The New York State Gaming Commission also said in August that the machine displayed a disclaimer stating, "Malfunctions void all pays and plays." Bookman's attorney Alan Ripka says he has been fighting for months to get the casino to pony up more cash for Bookman, but to no avail. So, on June 14, he filed a lawsuit. Ripka also says the casino's excuses are "ridiculous." Ripka also said he's asked Resorts World Casino to explain how the machine malfunctioned, but the company did not offer him anything. The complaint alleges that Resorts World Casino was "negligent" and did not adequately maintain their lottery equipment. It also posits that Bookman suffered "mental anguish" as a result of the incident and she sustained a "significant" monetary setback because she "lost the chance and/or opportunity to win" on the machine. The complaint also names video lottery operator Genting New York LLC -- which is Resorts World Casino's parent company -- and slot machine maker International Game Technology as defendants. Ripkin says he plans to seek at least $43 million in damages. The casino did not immediately respond to CNNMoney's request for comment regarding the lawsuit. The Chicago Tribune reported that a court ruled in favor of Isle Casino Hotel when a penny slot machine indicated that a 90-year-old woman won $41 million. 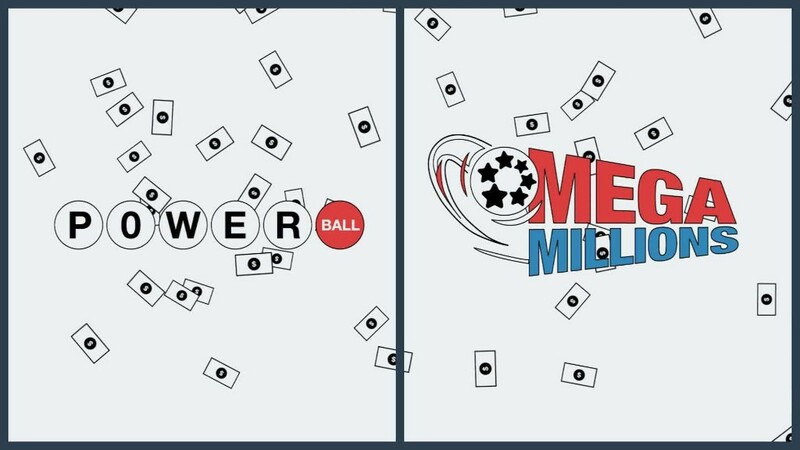 The court ruled that "the game's rules capped jackpots at $10,000 and didn't allow bonuses," according to the newspaper.